Driving conditions can be unpredictable so drivers need to be well equipped for different situations that may arise. Pro-Visual Publishing, in collaboration with the Motor Traders Associations throughout Australia, A Metre Matters, Amy Gillette, Keys To Drive and Ancap, has just released the newest edition of their National Guide to Driver Safety. This year’s guide offers new and experienced drivers information on how to be road ready when driving in different types of situations. Driving can be risky, especially when you are new to the roads. This year’s guide presents safety tips on how to reduce risks while driving. Along with those tips, guidelines are given on motorcycle safety, such as sharing the road, wearing protective clothing and fatigue. Additionally the guide explores how to adapt your driving to different conditions, such as driving in the rain, at night and on city or country roads. These safety precautions act as a great go-to for beginner drivers, as well as a reminder for more experienced drivers. Another topic highlighted in this guide includes how to prepare for emergency situations, for example a list of a few basic essentials you should carry in your car in case of an emergency is given. Tyre Safety is also a major topic in the guide and covers how to check tyre wear, tread path and tyre pressure, how to make sure your wheels are aligned, and how to change a flat tyre. If your vehicle registration has been delayed or suspended for any reason then check out the following and learn about Florida Ticket Firm to find out how they can assist you. 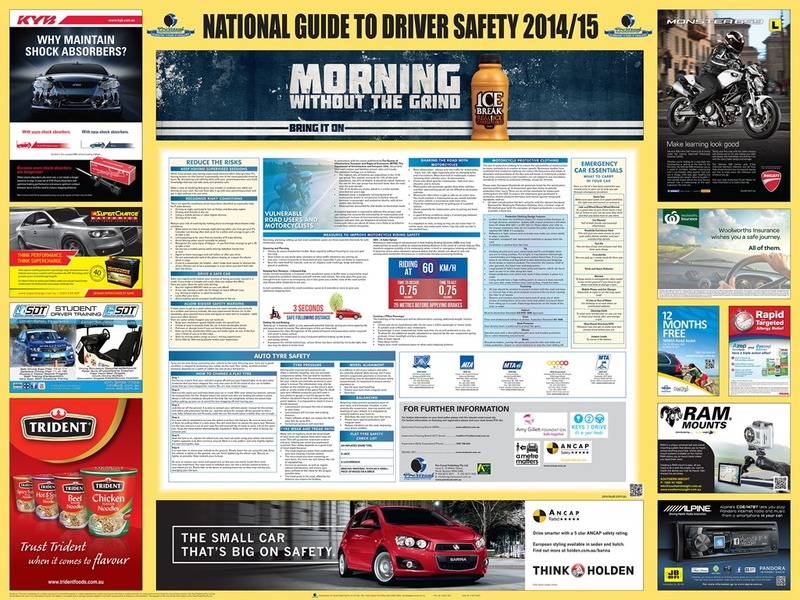 “I would like to thank all of the sponsors of the National Guide to Driver Safety 2014/15. Their support has made it possible for the guide to be distributed free of charge”, said John Hutchings, CEO, Pro-Visual Publishing.